Dry hydrotherapy is a combination of time proven therapies of whirlpool treatments, heat, and massage in a single system. 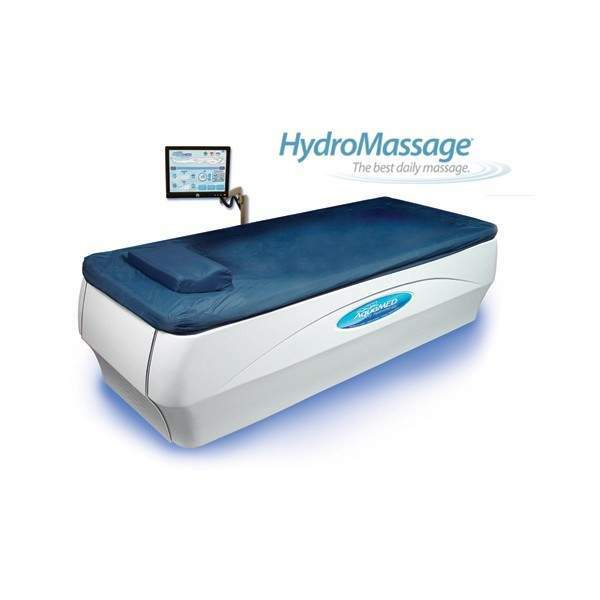 You are fully clothed, comfortably supported and protected by a durable barrier while streams of heated water (95 degrees) are directed to the treatment area of your body. Many patients say they feel totally at ease with a deep sense of peacefulness. Others report a tingling sensation as circulation is increased. Everyone's individual experience may vary, but all share the same opinion: aqua massage is wonderfully therapeutic! Can dry hydrotherapy help me? Excellent results have been reported in relieving pain associated with such conditions as firbromyalgia, arthritis, headaches, insomnia, stress, chronic pain, muscle spasms, sports related sprains and strains.